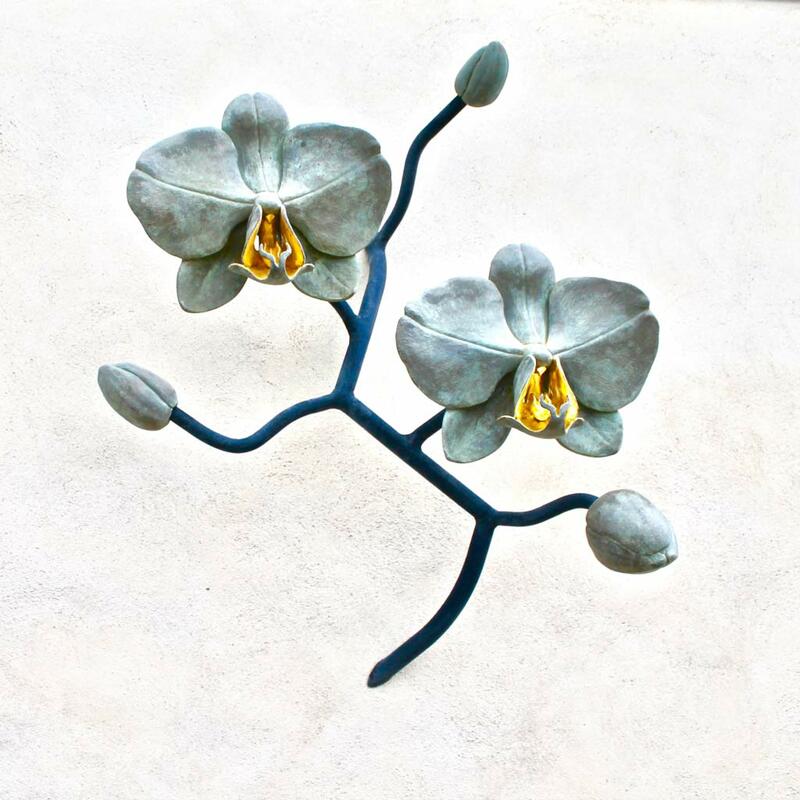 The Orchid has long been coveted for it’s sculptural beauty and I was very conscious of wanting to do this most exotic and refined flower justice. 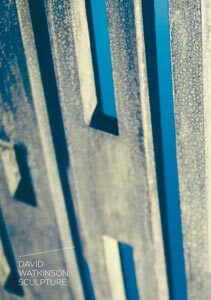 I wanted the viewer to be drawn to the sculpture almost like a bee is draw to a flower. The thought then occurred to me of using Gold Leaf to coat the internal column and ‘throat‘ of the Orchid. I am always fascinated by new techniques and I have found using 23 ½ Carat Gold Leaf to be an incredible process. On it’s own, Gold Leaf can look rather gaudy but when it is reflecting it’s own light within an internal space, it glows with an unrivaled subtlety. 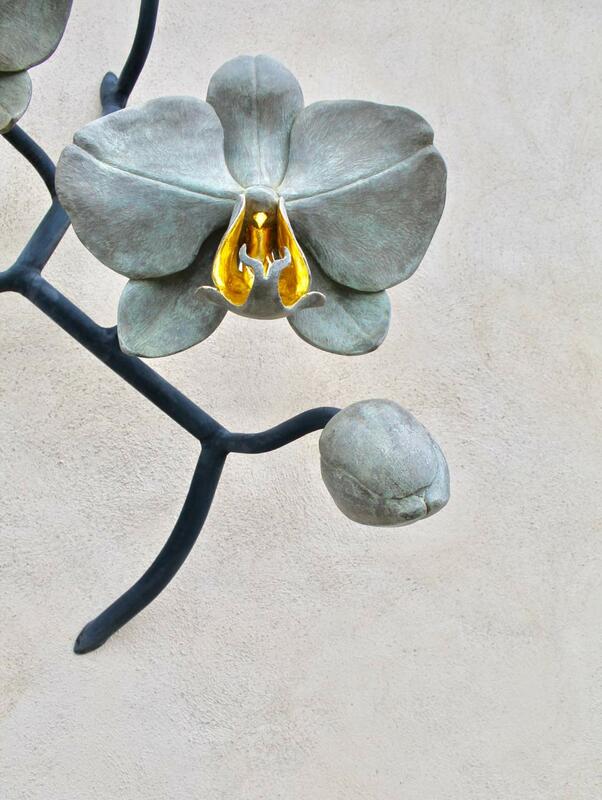 The Orchid has long been coveted for it’s sculptural beauty. This unique piece of work has many interesting elements, a wonderful portrait for any wall.